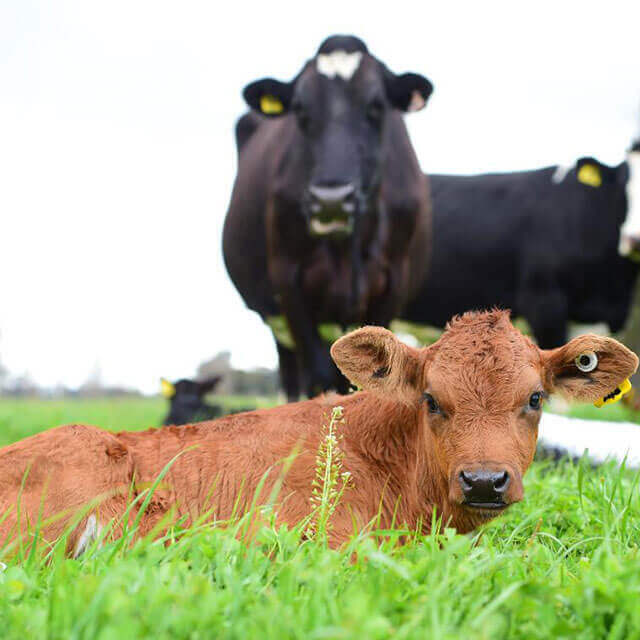 How Now is unique in the Australian dairy industry. Its mission is to stop the separation of calfs from the cow at birth. How Now is passionate about keeping mothers & their young together, as they oughta be, and eliminating the killing of Bobby calves. With very few exceptions, on all other farms, calves are separated from their mothers within a day or two. Some are kept on the dairy farm to become the next generation of milkers, the rest (roughly half a million each year) are taken to abattoirs. The highly cluttered dairy market and $1 milk has devalued brand trust and differentiation. While awareness of what really goes on in the production of milk is low, we didn’t want to scare consumers. We needed to engage Australians in a positive story of how they could support local dairy farmers who are making a positive difference. 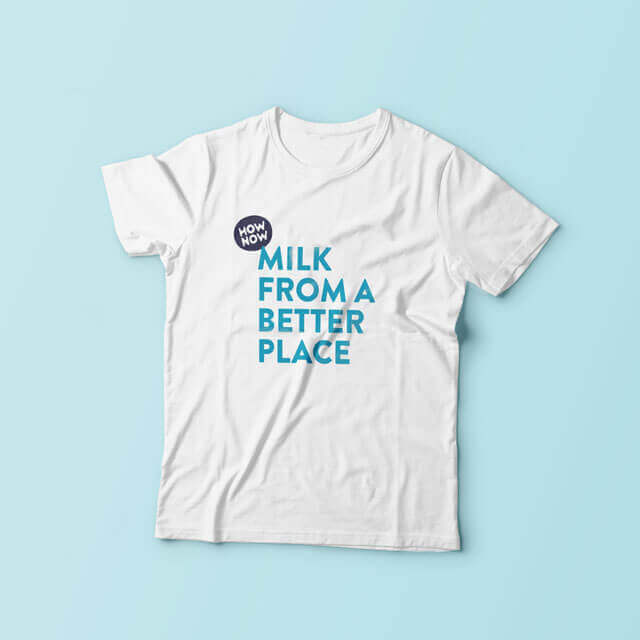 Truly Deeply created a brand that not only stands up for cows, it stands out from the herd and provides a powerful and kind alternative for dairy lovers. 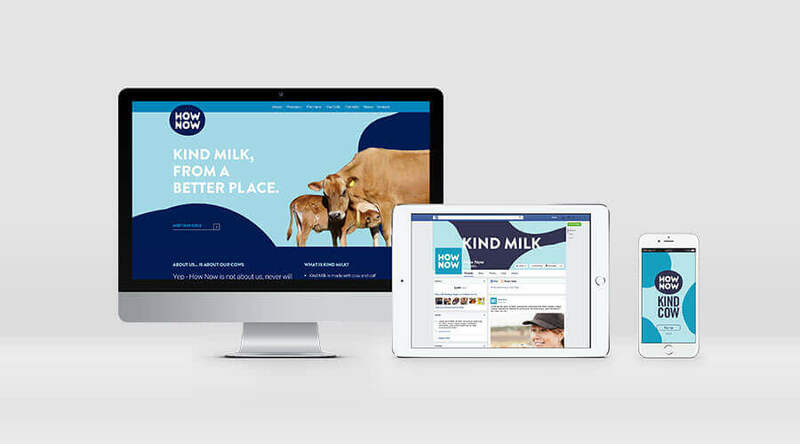 The brand proposition creates a powerful story kind milk from a better place. 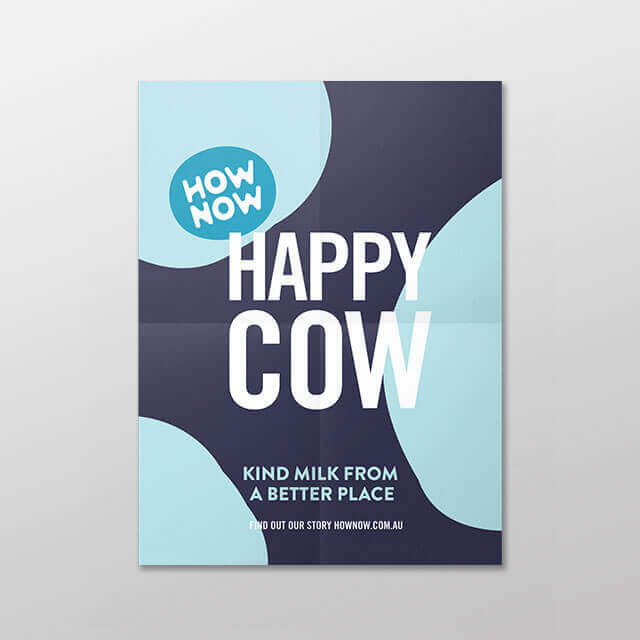 The happy cow messaging carefully calls out the problem but also tells a positive story of why How Now it is different and so much better for the cows, their calves, our farmers and for us. 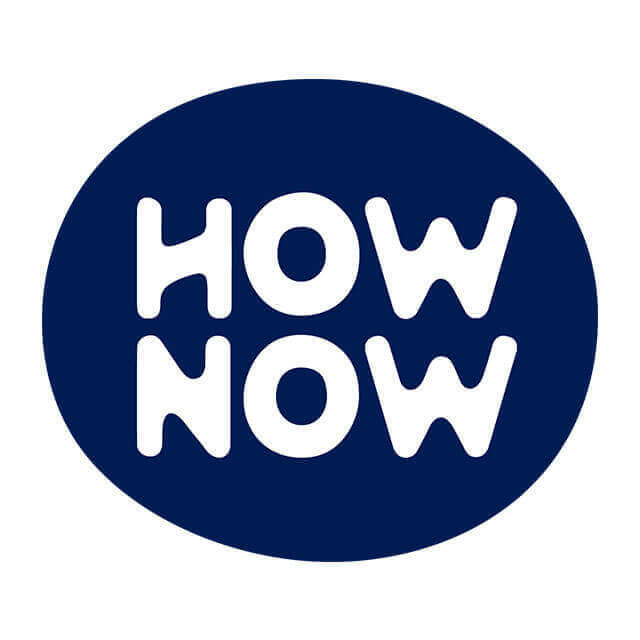 To further help the brand stand out we chose the name ‘How now’. Not only does this play on the famous phase ‘How now brown cow’ it also highlights the brand’s power to question (how) and challenge the establishment but also provide a better way today (now). The brand’s belief is that all that stands between us and a kinder, luscious, smooth velvety milk, is a new way of thinking. Loosely based on the blotch patterns of cows and drops of milk, the brandmark is made from a fluid friendly typemark housed in a soft organic blob. It works on its own and with the completion ‘Happy Cow’ providing a simple lock-up that proposes things have changed for cows. The simple high contrast colour palette works with the simple label designs to give the bottles strong, recognisable shelf presence while still using a traditional dairy colour palette. The soft blob shape is used as a graphic to create a repeating pattern as the bottles stand together. Despite a highly cluttered and competitive market, How Now is quickly gaining traction. While many brands are in a race to the bottom to fight the $1 milk, How Now is already proving that a truly differentiated purposeful brand is valued by consumers. How Now is available at select retailers and markets in Victoria. The company is already looking to significantly increase production and expand their product range to meet retailer and consumer demand. “I loved the entire process of working our way through the project, from the workshop, to the naming phase, to the presentations and finally the artwork design. It was all done with such gusto and genuine excitement. The Truly Deeply team turned our ideas into a cohesive, consistent, standout message, in a world of constant advertising bombardment. Their experience in the industry sets them apart. Cathy Palmer, Founder, How Now Dairy.